Battle to save historic railway cottage 'in the top left hand corner of Wales' made famous by children's TV favourite Ivor the Engine. An appeal has been launched to save a remote cottage on a train line which was immortalised in the much-loved children's television programme Ivor the Engine. Coed y Bleiddiau was built in the Victorian era as a home for the superintendent of the Ffestiniog Railway, which runs through the Snowdonia National Park in North-West Wales. The property - which is only accessible by rail - later became a holiday home and was then let out as a private house, before falling into ruin in recent years. Now the Landmark Trust is aiming to raise £400,000 to restore Coed y Bleiddiau to its former glory, refurbishing it and letting it out to holidaymakers who want to escape from the pace of modern life. The Grade II-listed house was built in 1864, at a time when the railway was busy with trains transporting slate from the mines of Blaenau Ffestiniog out to the nearby port of Porthmadog. It is not accessible by road, but has its own platform on the railway line where residents can flag down passing trains. The Ffestiniog Railway, which is similar to the fictional line featured in 1950s cartoon classic Ivor the Engine, now operates as a heritage line after reopening in 1982. In the years before the Second World War, Coed y Bleiddiau was a holiday home hosting visitors including St John Philby, the father of Soviet spy Kim Philby, and William Joyce, the pro-Nazi propagandist known as 'Lord Haw-Haw'. For fifteen years it was home to composer Granville Bantock, to whom his friend Edward Elgar dedicated the second Pomp and Circumstance march, and in the 1950s Bob and Babs Johnson moved in, living there until 2006. Over the past decade, the house has fallen victim to the weather - the ceilings have fallen in due to water damage and the floors have started to rot. The Landmark Trust wants to start the year-long restoration project in 2016 and hopes the property will be open for bookings in 2017. Director Anna Keay said: 'Coed y Bleiddiau has much in common with some of Landmark's earliest projects - it is modest in scale but deeply special for its place in our history and landscape. 'This wonderful steam railway has been revived thanks to the heroic work of the Ffestiniog Railway. Trains once again puff daily up the hillside but Coed y Bleiddiau stands abandoned and forlorn. 'Since the death of Bob and Babs Johnson, the last tenants who lived at Coed y Bleiddiau from the 1950s, the building has fallen into dereliction. 'The interior is saturated by driving rain as lath and plaster ceilings collapse from water penetration, and floors and joinery are rotten. 'Landmark hopes to start the project in summer 2016 and needs to raise £400,000 to breathe life once again into this neglected building. We are determined to save this tiny fragment of the slate industry that transformed this region in the 19th-century, but need financial support. 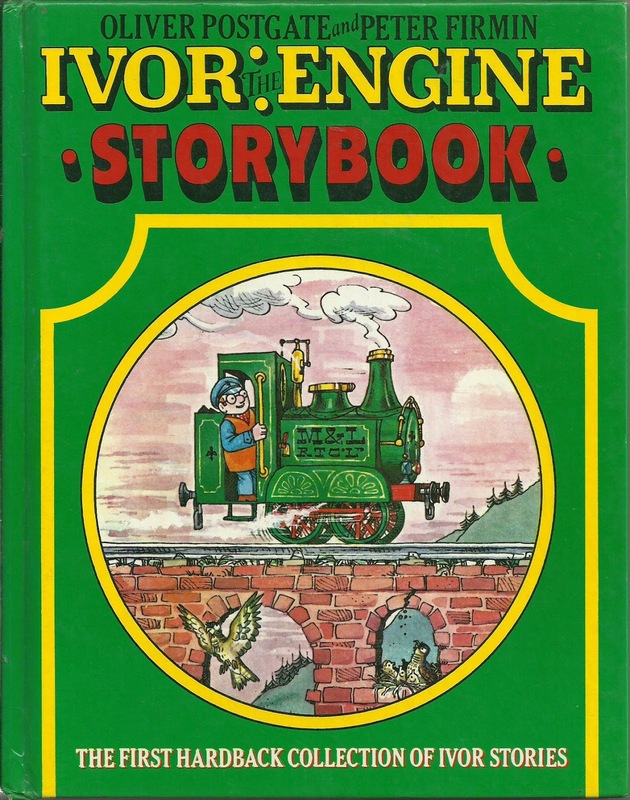 The world of Wales's narrow-gauge railways was immortalised in Ivor the Engine, which ran on British television between 1959 and 1977. 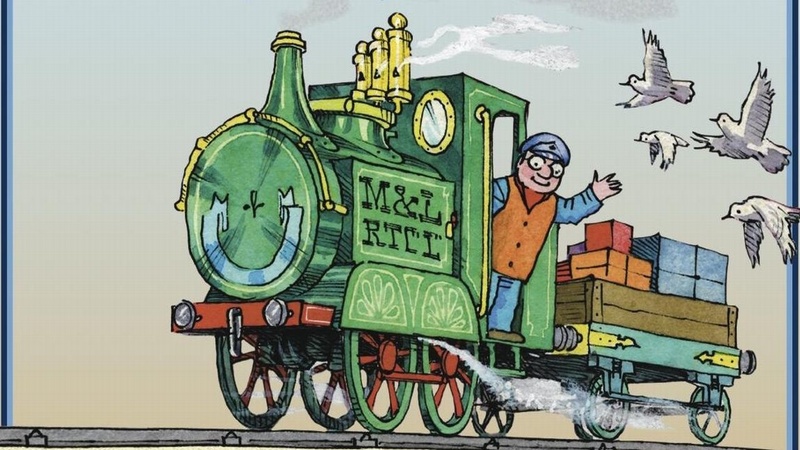 The show was created by Oliver Postgate, the brains behind programmes such as Bagpuss and The Clangers, and was inspired by one of his drama school classmates who had worked on a steam train during the Second World War. He decided to set it in Wales because of his love of the works of Dylan Thomas and the romance of 'little railways going along the tops of hills'. 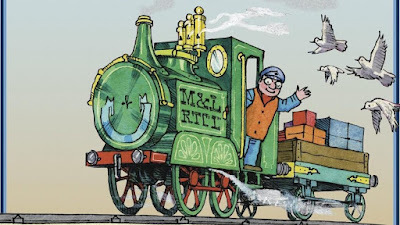 The first series of Ivor the Engine was broadcast in black and white on ITV in 1959, before being resurrected by the BBC 16 years later as a colour series. 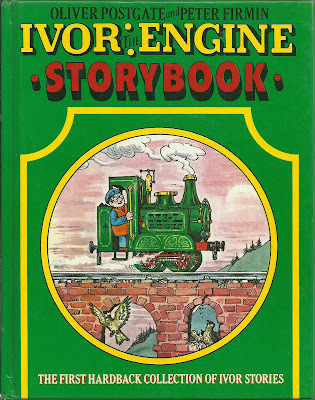 The show depicted life on the railways for Ivor, a steam engine, and his friends such as Jones the Steam and Evans the Song, with a few magical touches such as a family of dragons living nearby. Double Deck Parry People Mover?